Nebraska Extension in Lancaster County recently hired two Extension Assistants to replace outgoing staff. 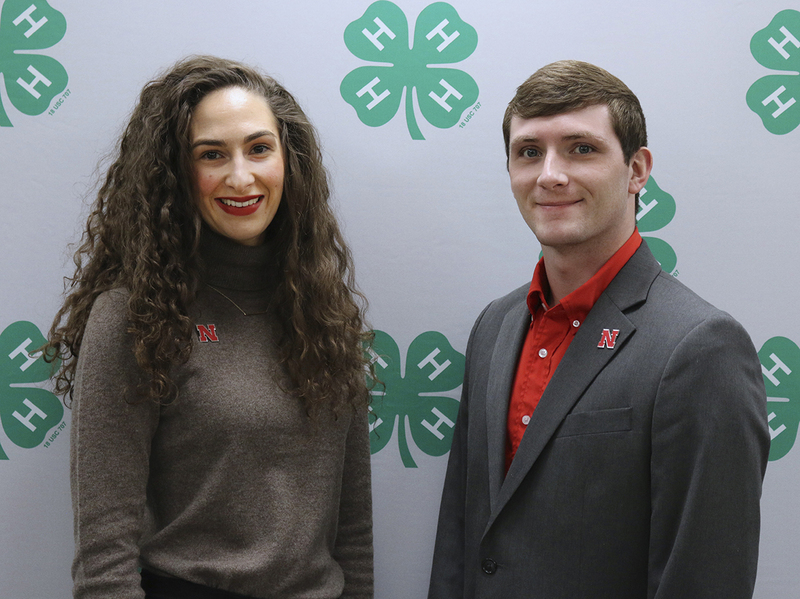 They join a staff of three other 4-H staff members to coordinate the Lancaster County 4-H’s program, which reached over 36,000 youth last year. MORGAN BATTES began working in January. Some of her responsibilities include leading the Garbology 4-H school enrichment program and the Trash to Treasure after-school program. These programs teach youth why it is important to reduce waste, and how to recycle and reuse. Morgan graduated from the University of Nebraska–Lincoln in 2017 with a Bachelor of Science in Natural Resource and Environmental Economics with a Leadership and Communication minor. Prior to this position, she worked in Kansas City for an international hunger relief organization, where she facilitated thousands of volunteers in packaging high-protein, highly nutritious meals to be distributed to chronically malnourished people around the world. Ag Literacy Festival 4-H school enrichment programs. Calvin received his Associate of Science degree from Nebraska College of Technical Agriculture in 2016 and his Bachelor of Science degree from the University of Nebraska–Lincoln in Animal Science Production Systems in 2018. He was a member of the Livestock Judging team at both colleges. After graduation, he worked as an animal care technician providing daily care and maintenance of animals, data collection and analysis. Growing up in Adams County, Calvin was a 10-year 4-H member who showed sheep, swine and poultry. His experiences in 4-H grew his passion for Animal Science and led him to pursue not only a degree, but also a career in this field. 4-H & YOUTH — Discover 4-H Camps — Early Bird Discount Before April 15!